Specially roasted and finely ground in Cyprus, the Heritage blend is a classic Turkish coffee blend, crafted from a unique selection of Brazilian Arabica beans by the head roaster Dervis Özerlat. Topped with a velvety soft foam, the Heritage blend offers dark chocolate and freshly baked biscuit aromas over complex flavours of bitter chocolate and rose. 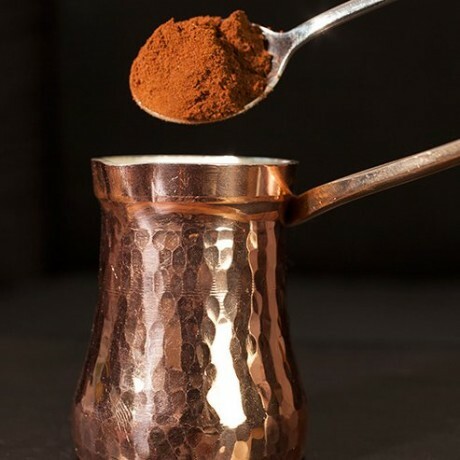 How to brew turkish coffee: Add 1 heaped teaspoon of coffee (and sugar if you wish) to the pot (ibrik/ cezve) along with 70 ml of cold water, place over a medium heat and stir gently to combine the ingredients. Leave it to brew undisturbed but watch carefully to ensure it doesn't boil. What you’re looking for is the moment just before boiling when the foam starts to rise at the edges. As soon as this happens, lift the pot away from the heat and carefully pour into your coffee cup. 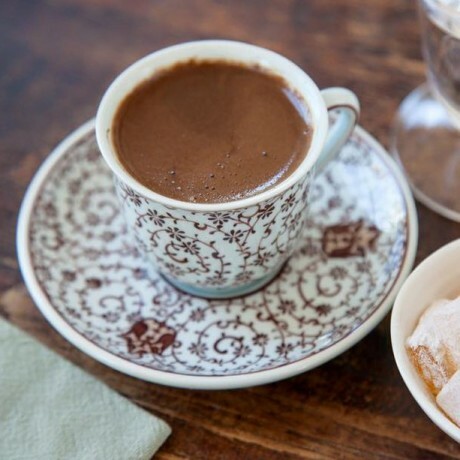 Hand crafted artisan Turkish coffee. Each batch of Özerlat coffee is crafted in Nicosia, Cyprus to a special artisan method. Made from 100% pure Arabica, with no flavours or preservatives added. This product is dispatched by Ozerlat. This item has a shipping weight of 300g.